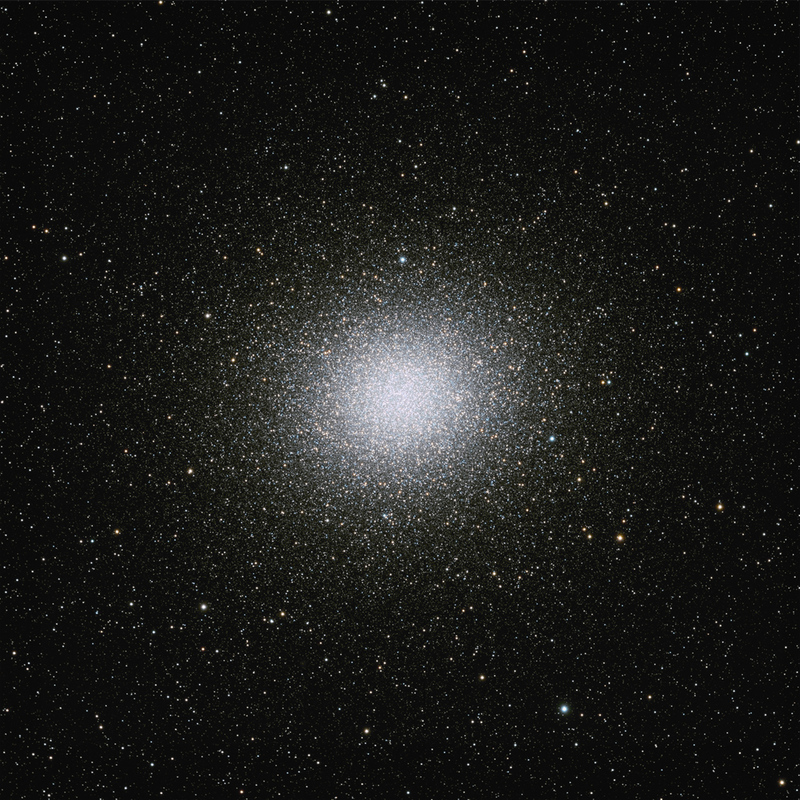 Omega Centauri is the largest and most massive globular cluster in the Milky Way Galaxy, containing up to 10 million stars. It spans about 150 light years across and is located at a distance of nearly 15,000 light years from Earth. Recent studies suggest a 40,000 solar mass black hole at its center, with astronomers suspecting this globular cluster is actually an imposter, its true nature being a dwarf galaxy that has been torn apart by the larger Milky Way.